Almost a year ago, in January 2017, I noticed that when Key Food launched its Superfresh website, it listed one unidentifiable store. The only possibility for that location, I wrote, was "if SF plans to open a new store in the former A Seabra Foods in Roselle, which is approximately where that icon is." Guess what? When I visited a relative's house in Elizabeth on Saturday night around 4PM, I noticed a Superfresh circular. I thought maybe Irvington, but no! Less than an hour later, I was at the store. It's still in progress, hence the dumpster in the parking lot. It was filled with lots of garbage and some renovation debris, like these old ceiling tiles! 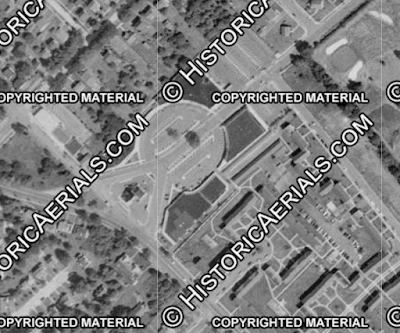 1954 aerial from HistoricAerials.com, showing the mall ready to open. The store at the top of the arrangement here is where the Superfresh is today (where the (c) HI is). 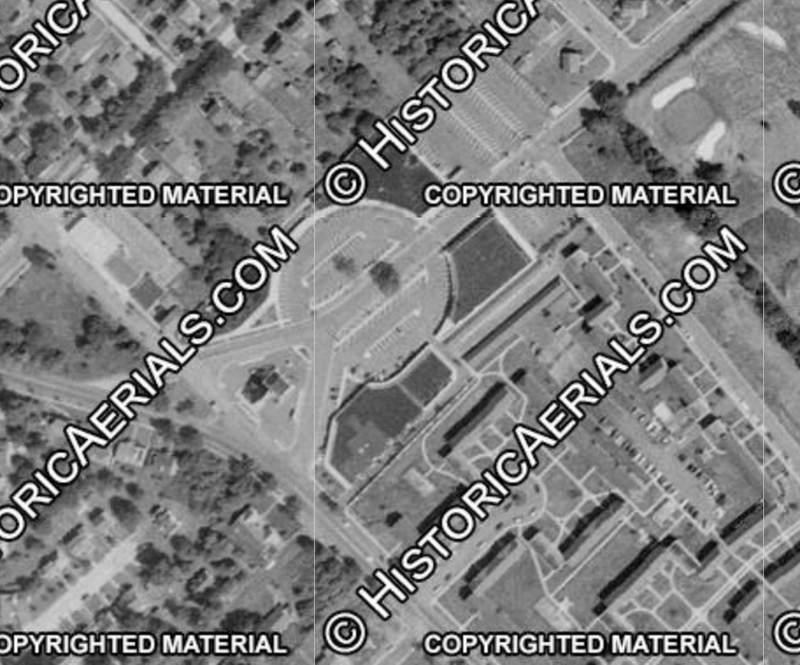 I think the right side of the diamond (right under the COPYRIGHTED) opened as an A&P, and most recently became a Sears Hardware, which has since closed. 2007 Google street view. 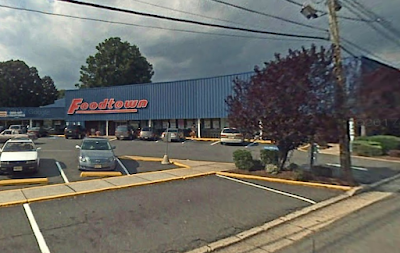 Foodtown became Food King, also with Allegiance, and then sold out to A Seabra Foods. 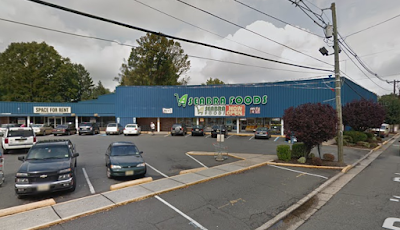 A Seabra Foods closed in either 2015 or 2016. Food Jungle Inc. took over the store recently and opened it as a Superfresh. 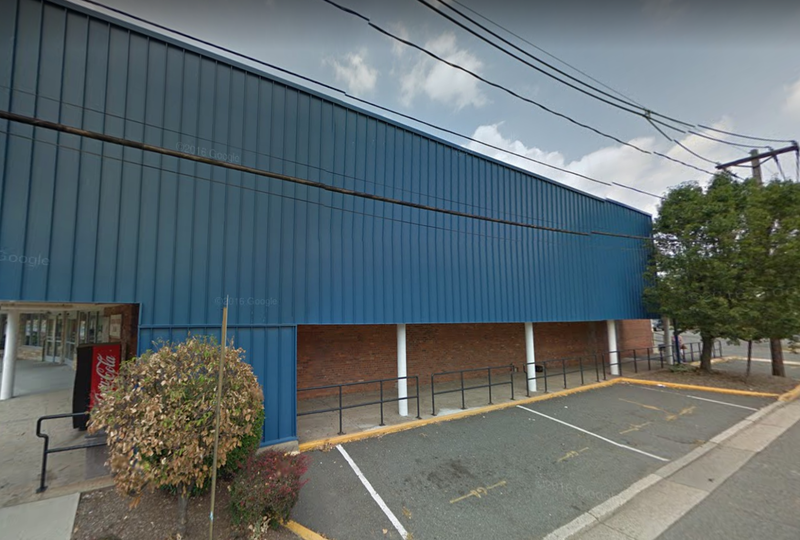 It's under the same ownership as the stores in Belleville, Bloomfield, and Irvington (among others). The "Space for Rent" storefront is where Superfresh's deli/bakery is. And the new sign today. Superfresh added a door facing Raritan Rd (this street), where you exit. This way, you can go to either the front or back parking lot from the store. 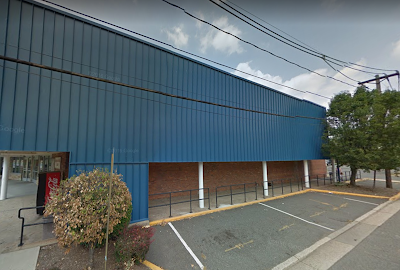 The rear parking lot, I believe, is currently closed for repairs and a whole new area is being built here with a brand-new sidewalk and ramp to the front and back lots. 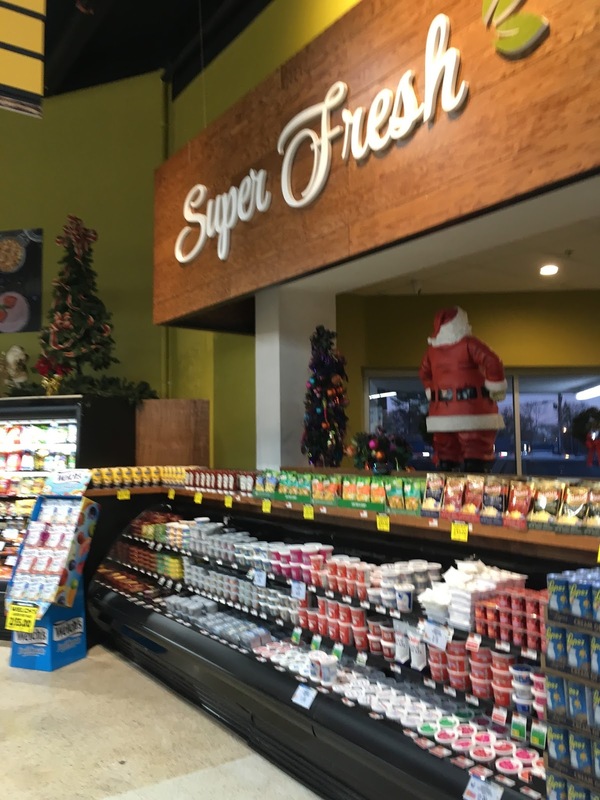 Superfresh now has an entrance about where the A Seabra Foods sign is here. This lot, however, is currently closed for construction (or at least under construction, I'm not sure). A daylight picture from my return trip yesterday afternoon! Superfresh also totally changed the layout. Here's an idea of the new layout. There is also an entrance right next to where it says "floral", and the exit is where the word "checkouts" is. So let's head in through the main entrance and check it out! The door visible on the far wall here is the entrance. 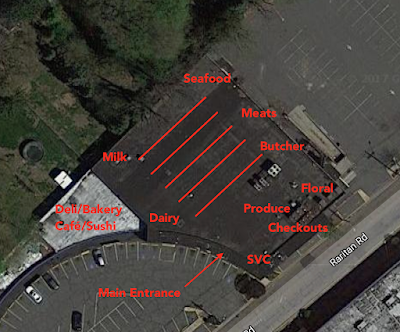 It's roughly where Seabra's exit would have been, with checkouts along that wall. Today checkouts are along the wall to the left here. The produce department was pretty impressive, and a great first impression. On the Saturday night visit (the time of these photos), the store was deserted and there were far more employees than customers. Sunday afternoon brought a decent crowd. I assure you the store will never look like this again! 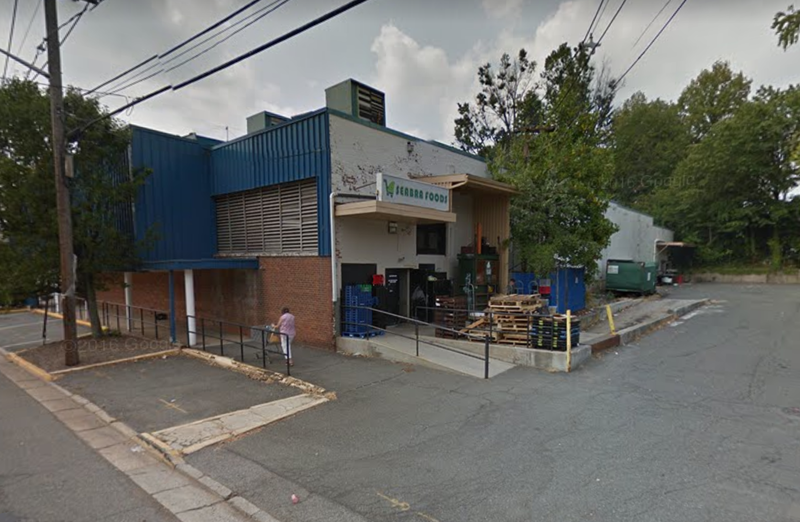 The produce section extends into this little alcove by the back entrance, and the space to the left (where the FARM FRESH sign is) probably has a freight elevator to the basement. The butcher counter is just on the other side of that area. The rear entrance, looking towards the floral department here. The lighting is beautiful, and the exposed black ceiling is a fantastic contrast to the light green walls. I visited the store on the second day of operation...so the shelves probably won't always stay this nice. However, you never know. On Saturday night, I bought one item: cranberry juice. When I came back Sunday afternoon, the single cranberry juice I took had been replaced! It's really a beautiful store, and the relatively low shelving combined with the really high ceilings makes the store feel way more spacious than it actually is. Beautiful graphics that look even better with the upscale lighting. Looking towards the dairy wall (the front of the store). The second-to-last aisle is frozen foods, with relatively new cases. You can see down to the doorway to deli/bakery at the far end of the aisle. Seafood is directly behind me. Nice seafood selection and really friendly employees. As I was waiting on line for my fish order, several people walking through commented on the enormous whole fish sitting out on ice in front of the case. The last aisle has bread on the left and frozen meats, then milk/juice on the right. Deli is straight ahead. Milk/juice farther down the aisle. As I mentioned, this was an expansion done by Superfresh, so it's in a completely separate room with its own entrance and exit, and even a separate register. Notice the Food World logos on the deli screens! The store offers a salad bar, hot food, sushi, coffee, and a small café. 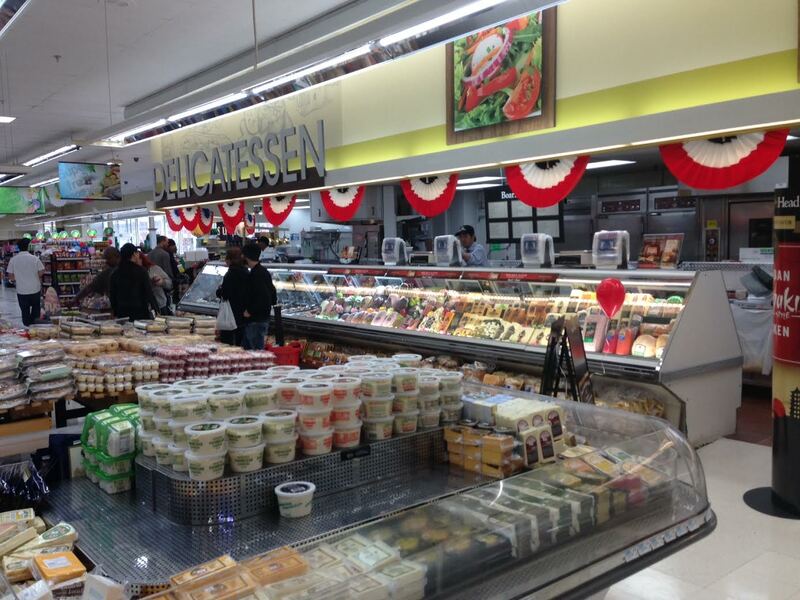 Very large deli department with a great selection of brands and products. I was very impressed! Small sushi counter next to the deli, then bakery on the side wall. The store does not bake in-store (yet?). An overview of the deli/bakery room, looking back into the supermarket. The door is to the right here out to the front parking lot. The cheese case, to the left, is also obviously not fully up and running yet. For whatever reason, the same happened in Bloomfield -- the cheese case wasn't stocked for opening! At least for the time being, all the bakery products are brought in. Not what you'd expect to find in a store that's traditionally an inner-city ethnic operator! But this is a very different store for Food Jungle. The café is just on the other side of this opening. Here we can see a little of the store's curved front. The main entrance is visible straight ahead. More great signs, although they're more of an overview of what the store has to offer than representative of what's in the case below! And no, I'm not strangely tall, the dairy cases are just really low in this section. Take a look at the photo above! Looking back towards the deli/bakery room. For an amazing store, the front-end was rather disappointing. Nothing special about it at all. Or should I say the side-end. 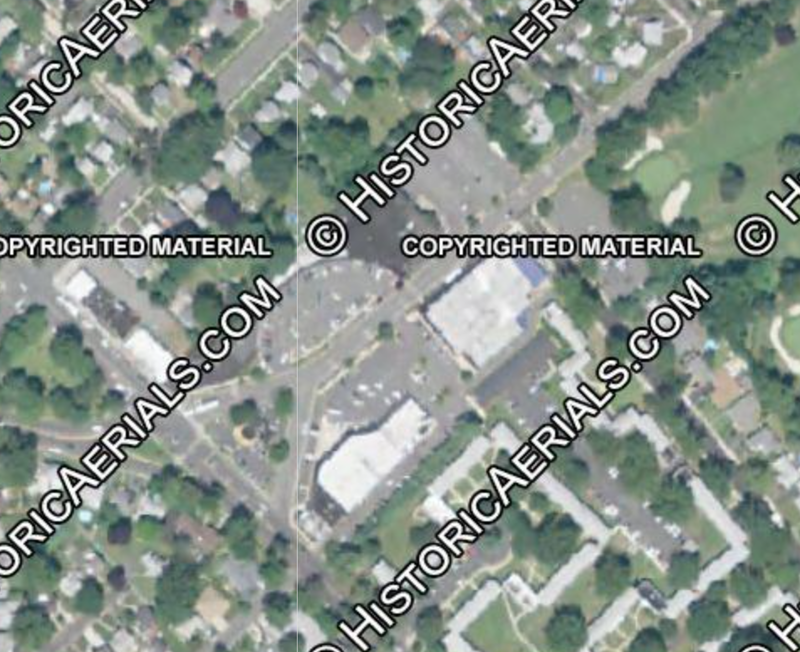 Because, remember, this part faces Raritan Rd. Customer service, with HABA, is to my right here with one express register here and two down at the other end. Superfresh Roselle was such a surprise! This is probably a record for me, finding out that a store exists and then visiting it twice within 24 hours. I wish the owners nothing but the best, but this is a tricky location. This particular neighborhood is a middle-class, white neighborhood, which is not at all what their other locations are like. 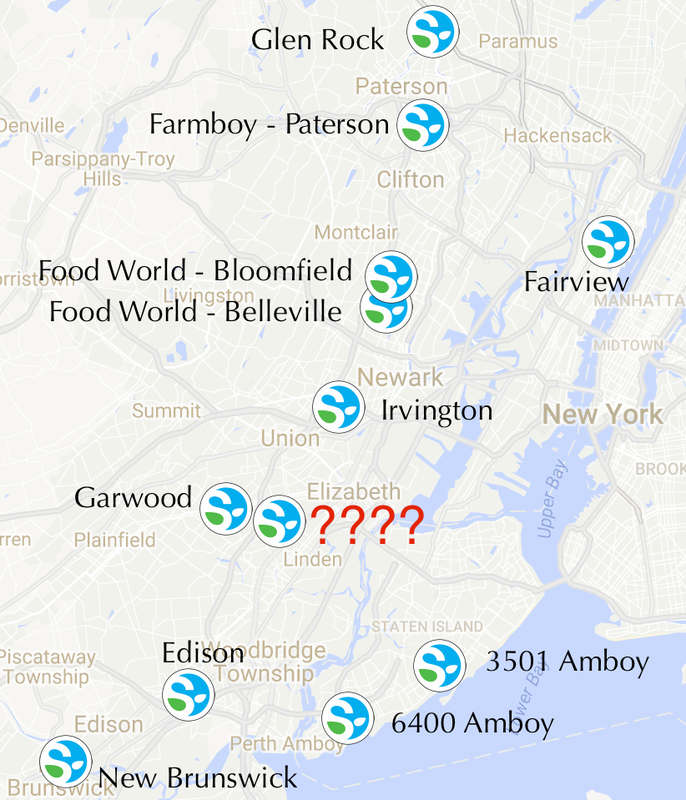 Four stores have failed in this location before Superfresh, so their chance of survival is realistically probably pretty low. But with such a beautiful facility and a better-than-average selection for pretty good prices (higher than ShopRite, but who isn't? ), maybe they have a chance. Let's hope so! And everyone, go out and visit Superfresh Roselle! Oh, but bring a coat. It's freezing in there. The best store in town. I wish that they would open up a Super Fresh in Toms River N.J. There is a vacant Food town store on Fisher Blvd. that has been empty for the past 4 years. An Ideal spot for a Super Fresh. I hope that some one is reading this..
Hi, I saw that you had posted this comment twice. Comments are not automatically published, I have to approve them first. This cuts down on spam. You could try contacting the owners of this store at foodworldmarket.com to see if they are interested in opening a store in this location. 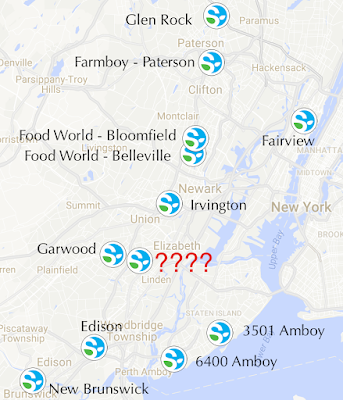 The location is tough because of the ShopRite just a few blocks south, though.